The ApconiX team would like to congratulate Dr Myrtle Davis for becoming Vice President-Elect of the Society of Toxicology. Dr Davis is an executive director at Bristol-Myers Squibb, where she leads discovery toxicology in pharmaceutical candidate optimization to provide target and molecular hazard identification and risk assessments for issues identified in discovery research. She also currently serves on the National Toxicology Program (NTP) Board of Scientific Counsellors and is a reviewer for the Assay Development and Screening Technologies Laboratory of the National Center for Advancing Translational Sciences (NCATS). Dr Davis joined SOT in 1992 and was a SOT Councillor from 2013 to 2016. Dr Davis takes up her position as VP Elect on May 1, 2019 and will accede to VP in 2020 and President of the Society in 2021. Professor Ruth A Roberts, PhD, ATS, FBTS, ERT, FRSB, FRCPath Director and Cofounder, ApconiX, UK and Chair and Director of Drug Discovery, University of Birmingham, UK Ruth is chair of drug discovery at Birmingham University, UK and Cofounder of ApconiX, an integrated toxicology and ion channel company that brings together a team of world-renowned nonclinical safety experts with over 400 years of drug discovery and development experience. Previously, Ruth was Global Head of Regulatory Safety at AstraZeneca and Director of Toxicology for Aventis. Ruth is an established science professional bringing rigorous expert thinking to toxicology, drug discovery and drug development. With >140 publications in peer reviewed journals, she is focused on reducing attrition attributable to safety and toxicity. A former president of the British Toxicology Society, former president of EUROTOX, former secretary to SOT and president elect of the Academy of Toxicological Sciences, Ruth was the recipient of the SOT Achievement award in 2002, the EUROTOX Bo Holmstedt Award in 2009 and the SOT Founders award in 2018 for outstanding leadership in toxicology. 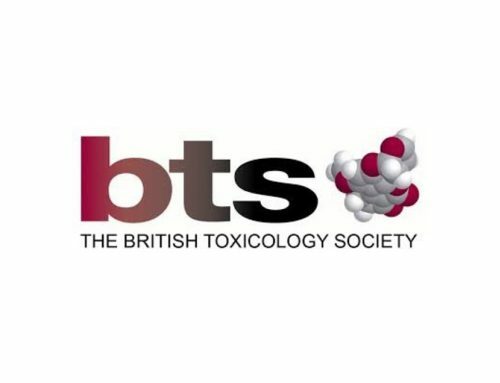 ApconiX Attends British Toxicology Society Congress – “Celebrating 40 years of the BTS”.